Tip Top has partnered with Toronto branding and design firm Shikatani Lacroix Design (SLD) for a transformative rebrand of their company. To support the modernization of the Tip Top brand, SLD led the creation of a new visual identity, retail store design, digital experience, value proposition and brand manifesto. 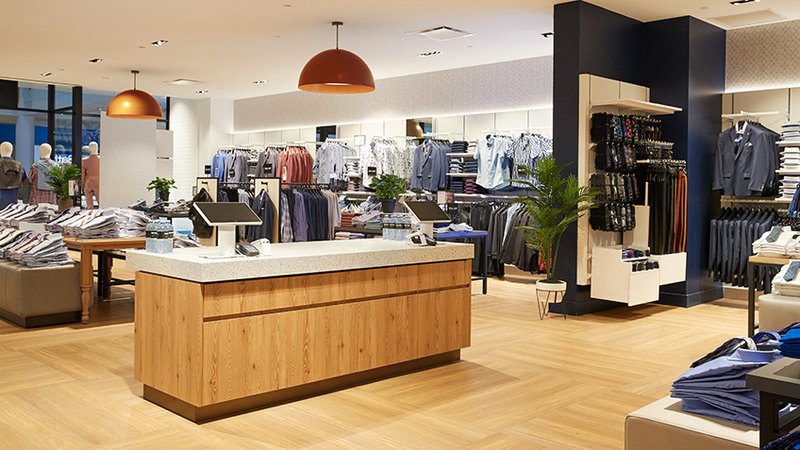 As a Canadian brand rooted in 100 years of history, Tip Top wanted to appeal to a younger demographic and reinvent their in-store experience. The new visual identity, which features an updated wordmark and splash of color, reflects the fit and style of the brand’s new direction, while the retail store concept boasts a modern, bright and welcoming look. Wth inviting colors and natural materials, the airy retail design includes comfortable seating for shoppers, and fixtures that celebrate merchandise and offerings. Two new digital signage walls showcase lifestyle content, branded messages and promotions, establishing a new level of customer engagement. 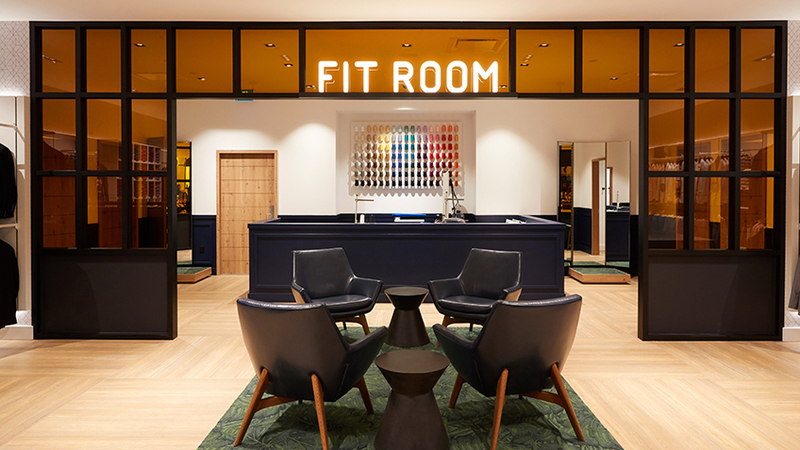 Defined by an eye-catching amber glass wall, a Fit Room was also introduced to the space, prominently highlighting Tip Top’s in-house tailor and expert sales staff. The first renovated Tip Top store opened in March of 2019 at the Bramalea City Centre in Brampton, Ontario. 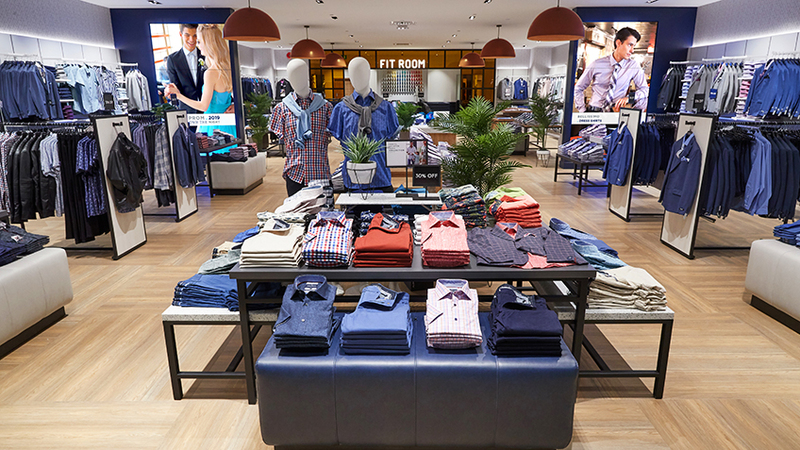 Just in time for spring, the updated space showcases the latest in men’s fashion and creates a modern and comfortable environment for shoppers. With another location in Calgary set to open in April and more to follow throughout the year, Tip Top’s reinvention is well underway.